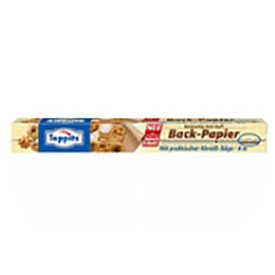 From sandwich paper to a versatile household helpers for the home and on the go. 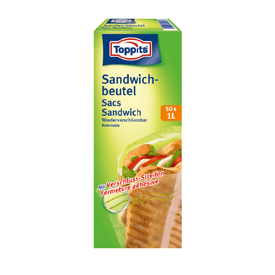 Melitta launches sandwich paper on the market. In addition to the core products "coffee" and "tea", a selected range of special articles for the kitchen was created. These included, for example, kitchen paper and insulated coffee jugs. 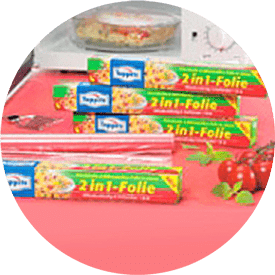 Launch of the first Melitta® aluminium foil in Germany. A wide-ranging information campaign explained the many possible uses of the new product. 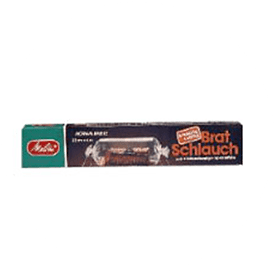 The first cling film developed by Melitta appears in German kitchens. Household foils had been more than just a trend in the USA for a long time. 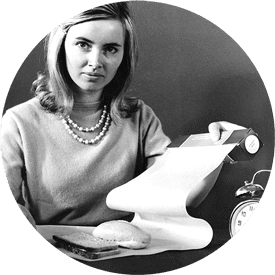 Soon, the practical kitchen aids also became very popular in Europe. Over the years, Melitta® cling film has been continually improved. 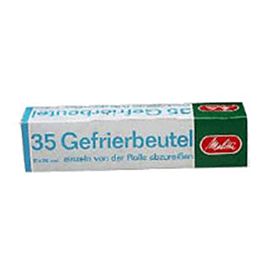 To this day it is one of the most widely used household foils in Germany. More and more private households have a modern freezer. The freezer bags from Melitta arrived at just the right time. 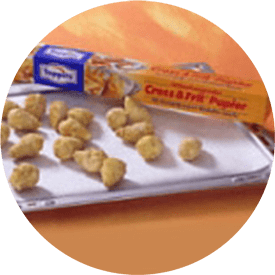 A new product for the oven: the roasting bag is introduced. 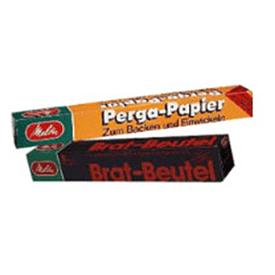 A new look for the baking paper pack: designed in the typical layout style of the 70s. Market launch of the first roasting tube for the oven. Now roasting becomes even easier and the oven stays beautifully clean. The first ice cube bags are launched. Who needs standard ice cubes now when you can make ice so easily and conveniently? 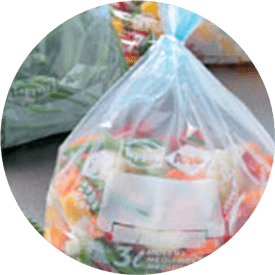 Thanks to a micro-reinforced outer layer, the quality of the freezer bags is hugely improved and thus the protection against freezer burn is considerably enhanced. Melitta now has more than 200 different products from a wide variety of business areas in its range. Independent brands are developed to clearly separate the individual areas from each other. 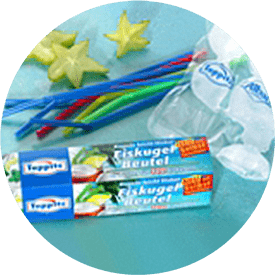 Appealing, easy to pronounce and memorable - those were the qualities required for the new brand names. 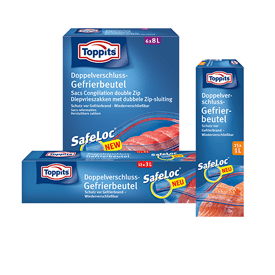 This is the birth of the Toppits® brand, under which Melitta products for the protection and preparation of food have been sold ever since. 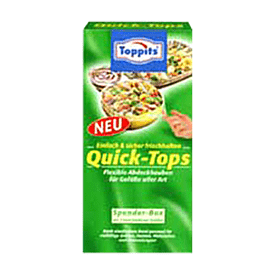 "Toppits® on the outside, taste on the inside." The catchy melody to this meaningful slogan became a memorable advertising jingle hit. 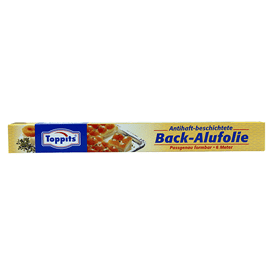 Even today, there is hardly anyone who does not sing this line immediately when the Toppits® brand is mentioned. 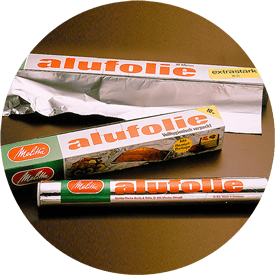 This modern baking paper immediately became popular in many households and - further developed and improved - is still very popular today. 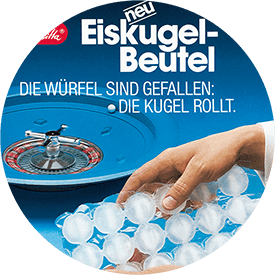 The use of innovative peeling foil for the ice cube bags makes it easier to remove the ice cubes. Baking paper in a new dimension. 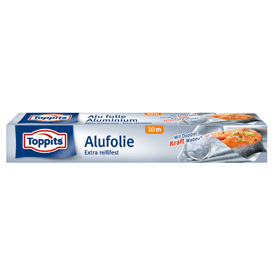 Aluminium baking foil combines the advantages of baking paper with the strengths of aluminium. The ideal combination of cling film and microwave film. You no longer have the bother of putting a new cover on containers on the way from the fridge to the microwave. 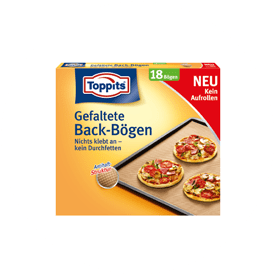 Toppits® baking paper gets its distinctive embossing. Cling film 2.0 is launched on the market - uncomplicated and a perfect fit. 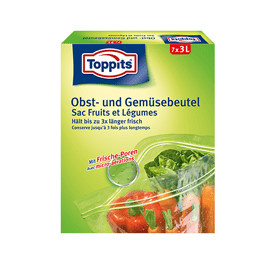 With an elasticated edge, Quick-Tops® covers make it even easier to keep salads, fruit and food on plates or in bowls fresh. 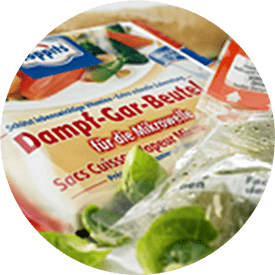 Specially developed for gentle steam cooking in the microwave. Easier to pack, easier to unpack, easier to reseal. 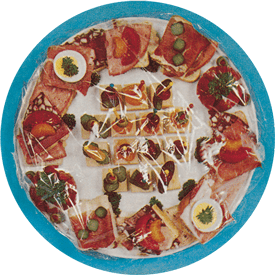 Snacks and sandwiches simply stay fresh longer. 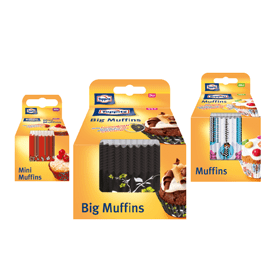 No afternoon coffee without muffins, no muffins without muffin cases from Toppits®. The ideal cases for the delicious baking trend for the new decade. Granted: Toppits® could have come up with this earlier. But it's never too late for a healthy, fresh idea. This little helper also fits in perfectly with the new consumer trend that prefers locally grown fresh fruit and vegetables. Extra strong. Extra tear proof. And yet so easy to tear off at the tear-off edge. Twice as good. Baking paper in a new, practical format. Thanks to the folded baking sheets, the paper no longer rolls up on the tray. 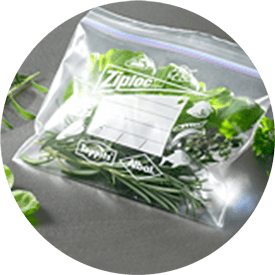 Ziploc® becomes Safeloc®, the safer closure for the modern freezer bag.